I Will Do 100 High Blog Comments Backlinks. opportunity while it’s upon an unexpected amount you can imagine. 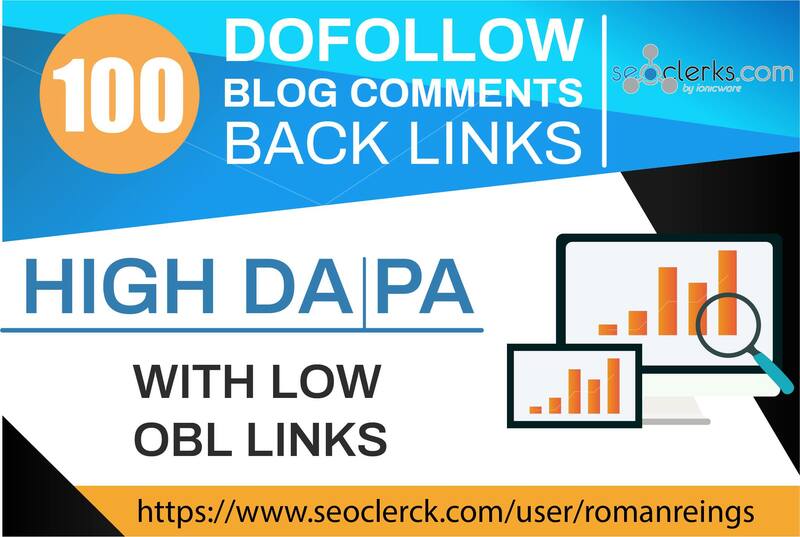 I will 100 Low OBL Blog Comments dofollow Backlinks high DA PA only for $5 is ranked 5 out of 5. Based on 1 user reviews.